I crave fruit and berries these days. I desperately crave them. And for days I wanted grapes. I found some big juicy grapes at the local supermarket and was thrilled. But the joy was short-lived. With a pregnancy comes superpowers, some are cool, some not so cool. 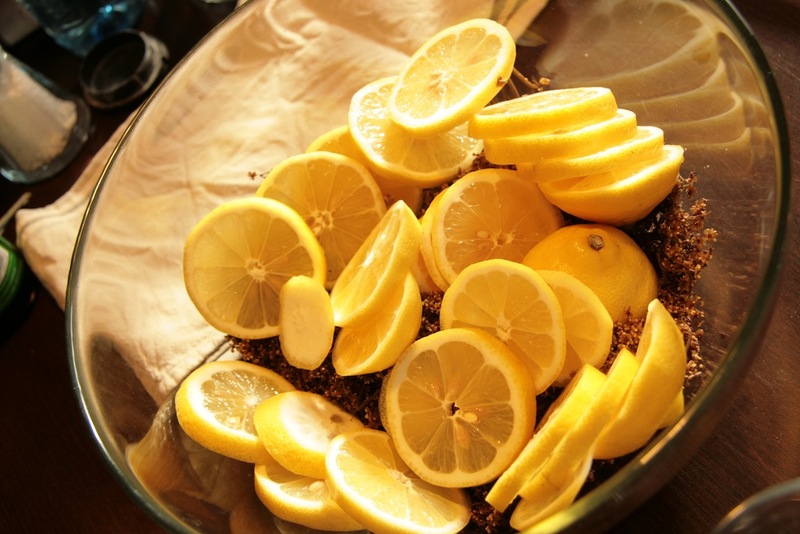 The senses of smell and taste improve immensely! And thus as I put the first grape in my mouth, it was spit out again just as soon. The rest of the grapes were torn from Son’s hands. I could taste the pesticides and yuck that are sprayed upon these delights. The taste was foul! It felt like I was poisoning both myself and Son. I discussed this with a colleague of mine a few days later. We are both inclined towards buying organically grown fruits and vegs, but juicy grapes and other foreigns fruit are too hard to resist. My colleague explained how she thoroughly cleans all fruit she buys. Especially if it has already travelled the globe. I came across a tip on pinterest, and have had great success following it. 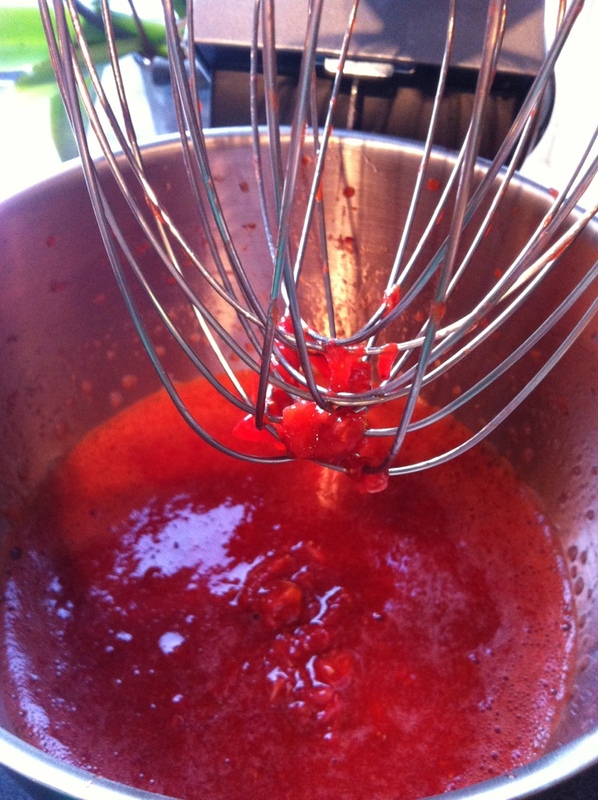 The clue is to rinse all berries in a bowl of water, in which you have added just a tablespoon of regular vinegar. 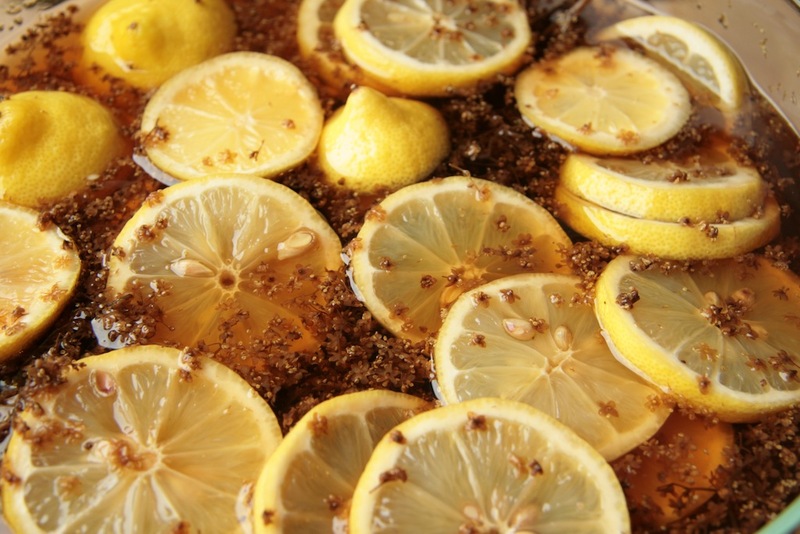 The vinegar helps reduce yeast and bacterias that result in mildew and rot. I tried this with the berries I bought over the summer. 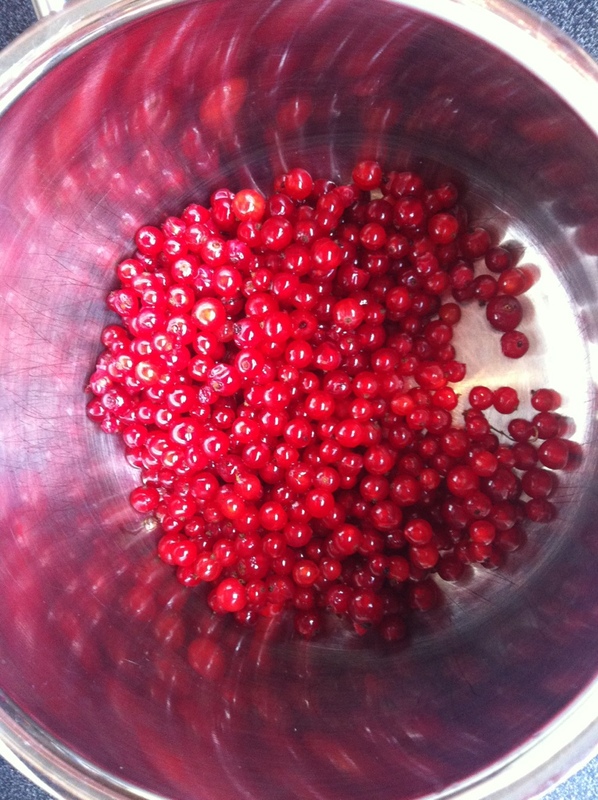 I also did it to the berries before making them into jam or ‘saft’. And it works! The berries stay fresher for longer. Now I have started doing the same to all the fruit and vegs I buy that I don’t boil or peal. 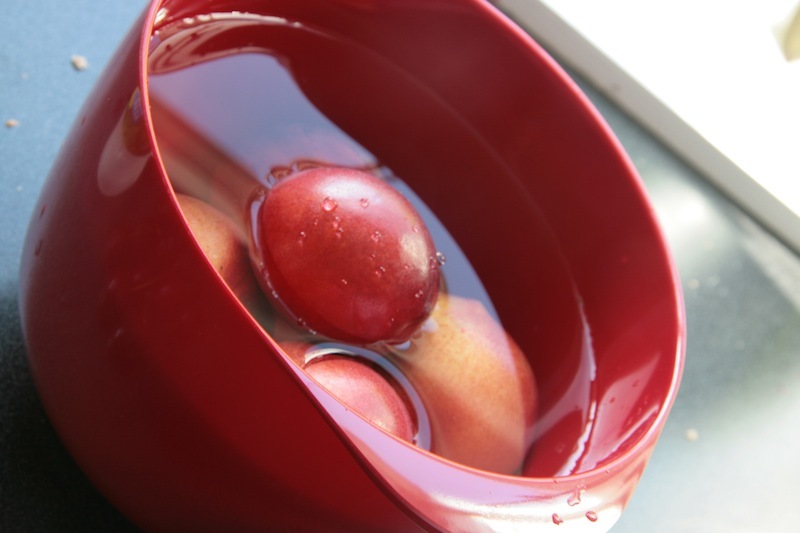 The vinegar does leave a hint of smell (that could be just me picking that up, Husband and Son cannot smell it), but by quickly running the fruit under cold water gets rid of that too. The salad was a complete explosion on the taste bud. 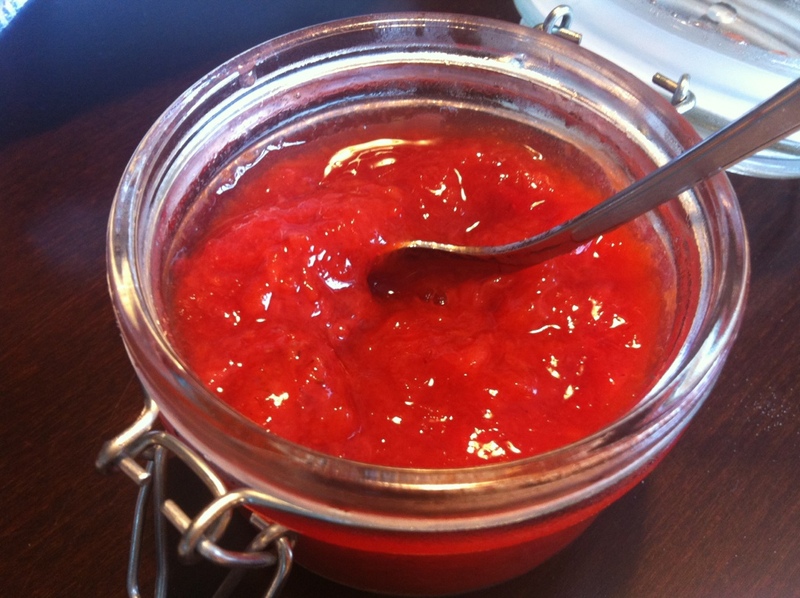 So fresh, sweet, delicious and full of taste that I’m telling you: You have to try this! Slice everything as thin as you can and drizzle or sprinkle the last two ingredients on top. You won’t be disappointed! Thank you Saffron and Honey for your inspiration! Plukkfisk is a dish I have grown up with. It is a dinner that would make gourmet chefs cringe, sigh, or shake their heads in disappointed frustration. It’s quite bland, it’s easy, it doesn’t look like much on the plate, and it’s wonderful, healthy, not at all time-consuming, and the perfect weekday dinner. Kids tend to love it and it’s an easy way to get them to eat fish, and loads of it! 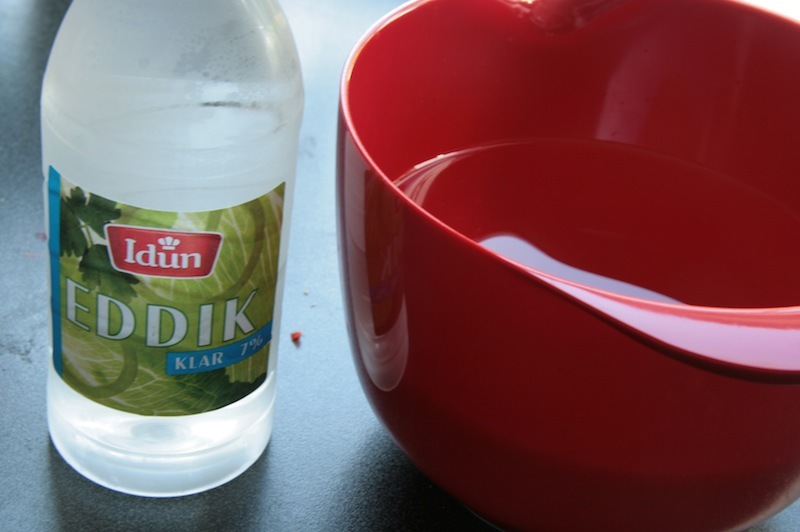 Rinse and peel the potatoes, dice them and add to a pot, cover with water and add a pinch of salt. Bring to a boil. While these boil, rinse and peel the carrots. After 5 minutes of boiling add these to the potatoes. When you can pierce the potatoes with a knife, and the potato doesn’t follow the knife out of the pot, you rinse the cauliflower and add to the water. Leave it to simmer under a lid while you get the fish ready. 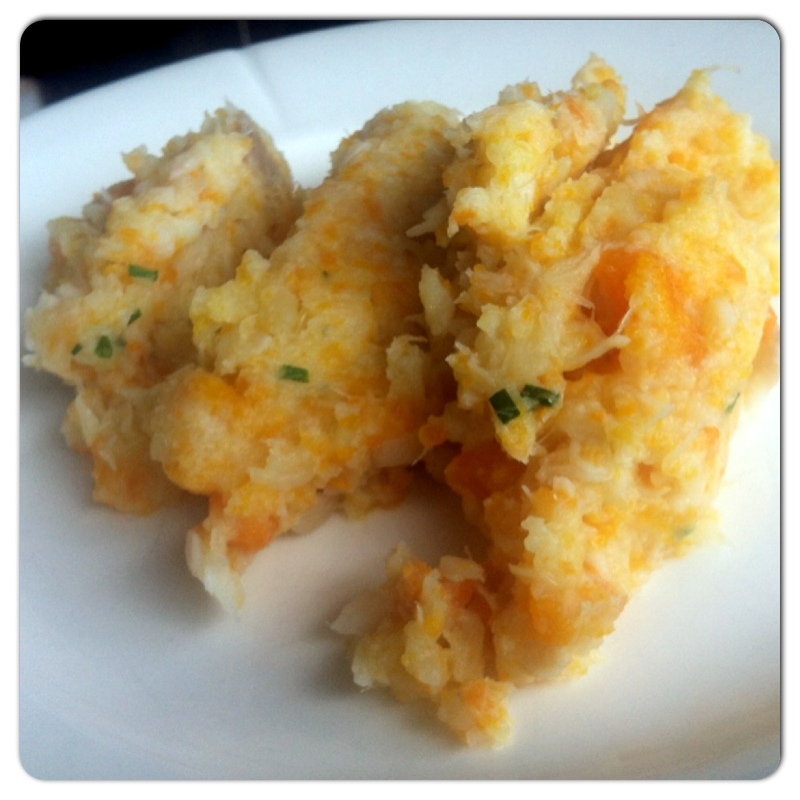 When the cauliflower is tender (only takes a few minutes) add the fish and turn of the heat. When the fish flakes it is done. Pour out the water and mash everything with a potato masher. Add the onions or chives, finely cut, and the knob of butter (if it looks very dry you can also add a small splash of milk or soft cheese). Season to taste and enjoy! My parents have several bushes of black and red currants and I was so excited to get my hands on them this year. I was very disappointed. 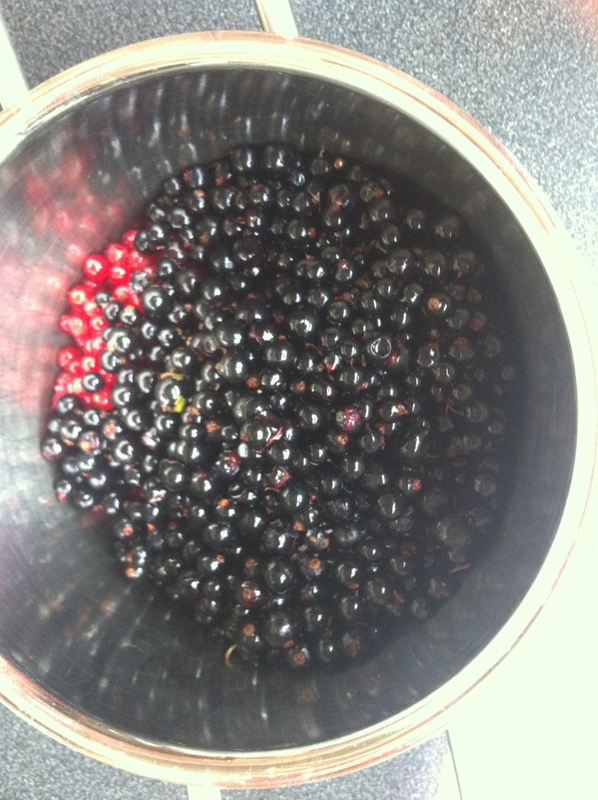 From in all 10 bushes (or thereabout) we ended up with only half a litre of black currants and half a litre of red. 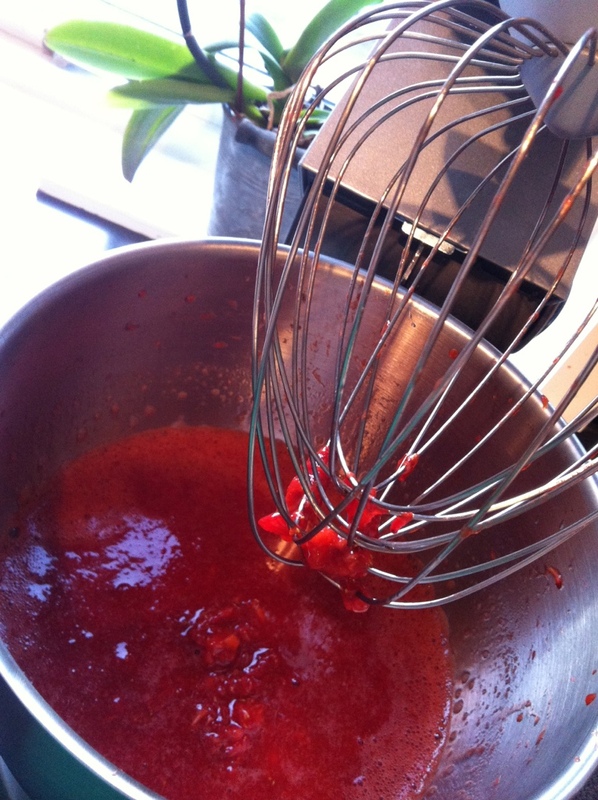 I was first set on making jam. 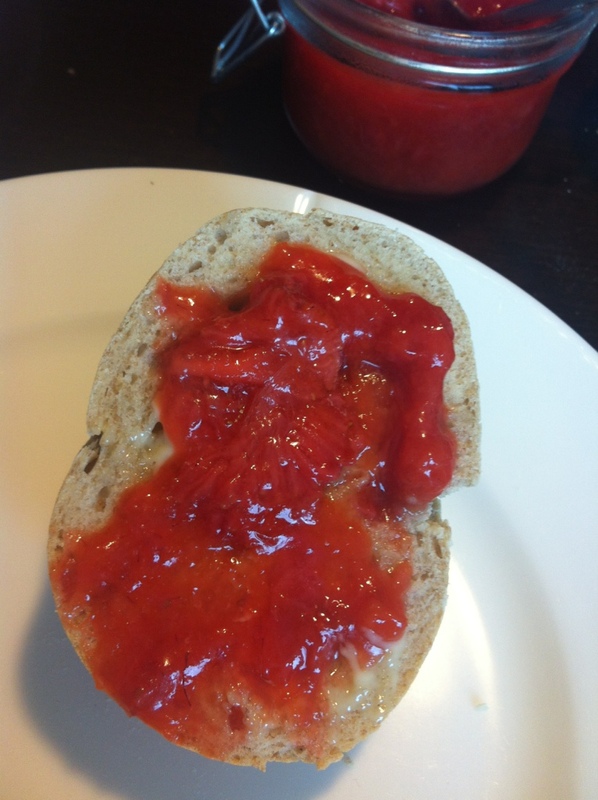 With those small amounts I figured jam would last longer and could thus be enjoyed far into next year, if used sparsely. 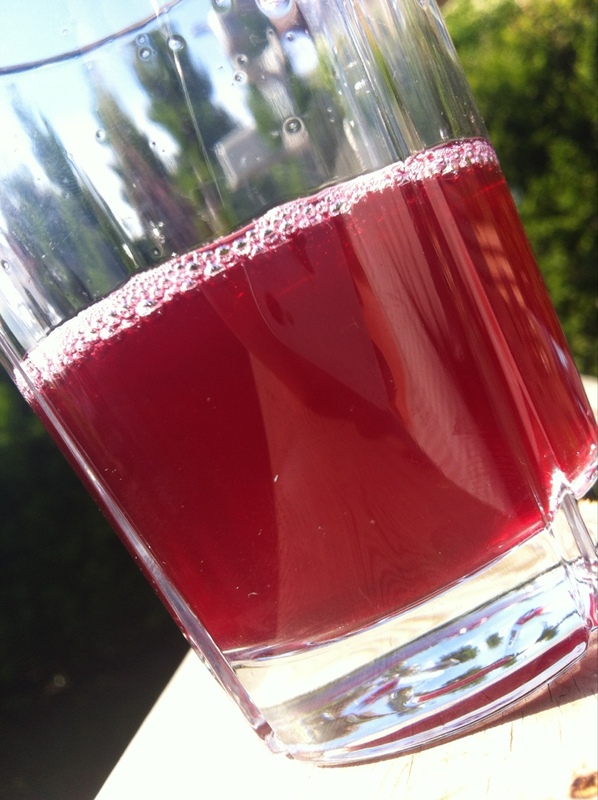 But then I came across a blogger who talked about the benefits of black currant ‘saft’ during colds or flus during the winter. I wouldn’t get many drops of ‘saft’, but what I got will be worth it’s weight in gold when winter sets in. I thus decided on ‘saft’. 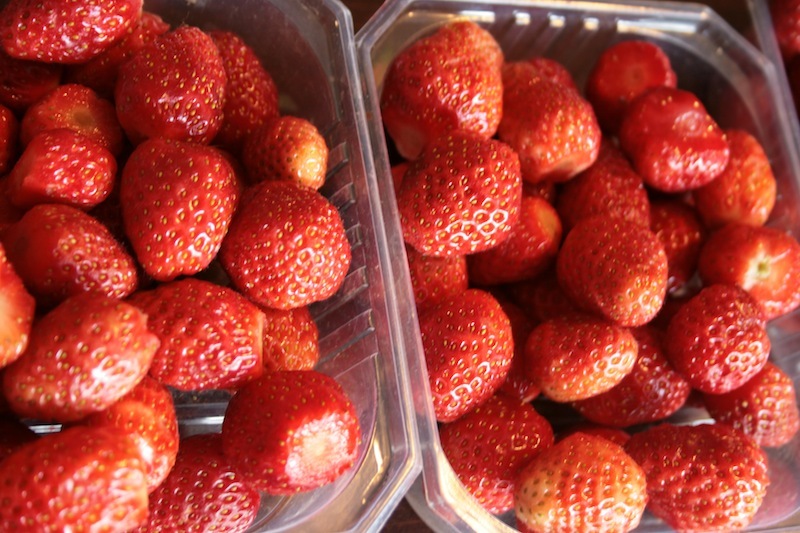 Here is what you need: I had about 650grams of berries and simply halfed the amount, added a comma and litre instead of kilos for the measurement, resulting in (650/2=325) 3,25 dl of water. Divide the weight of the fruit by 3 to find how much sugar you need (650/3= approximately 200grams of sugar). 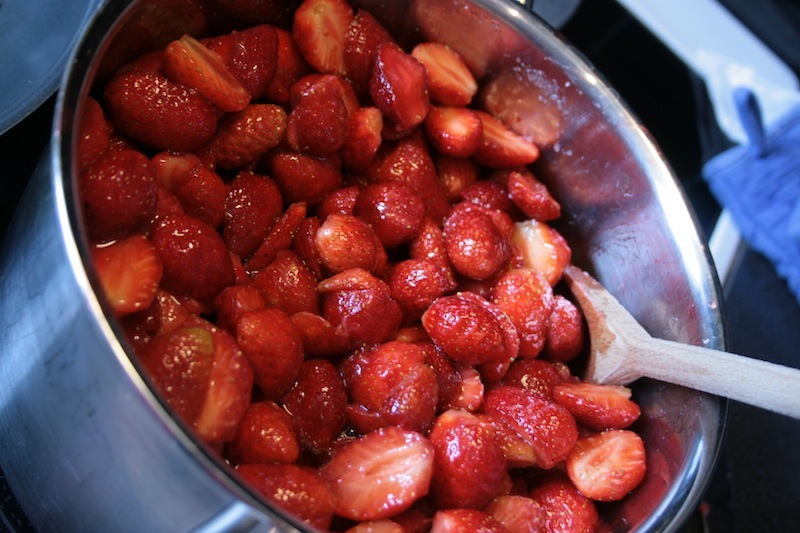 Add the berries and water to a pot and let it boil for about ten minutes. Add a muslin cloth to a pasta drainer (or similar) put this over a bowl and sieve the ‘saft’ through the cloth. Tie the corners of the cloth together, and hang it over the bowl and remove the pasta drainer. Hang it for about an hour or until it is so cold that you can squeeze what remains of the juice out of the cloth. 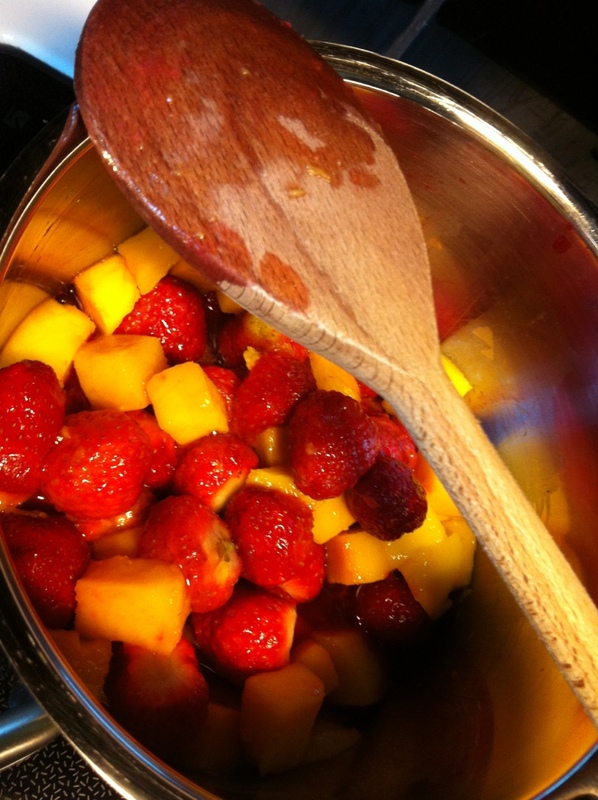 Put the juice back into a pot and add the sugar. Heat it until the sugar has dissolver and leave to cool under a lid. 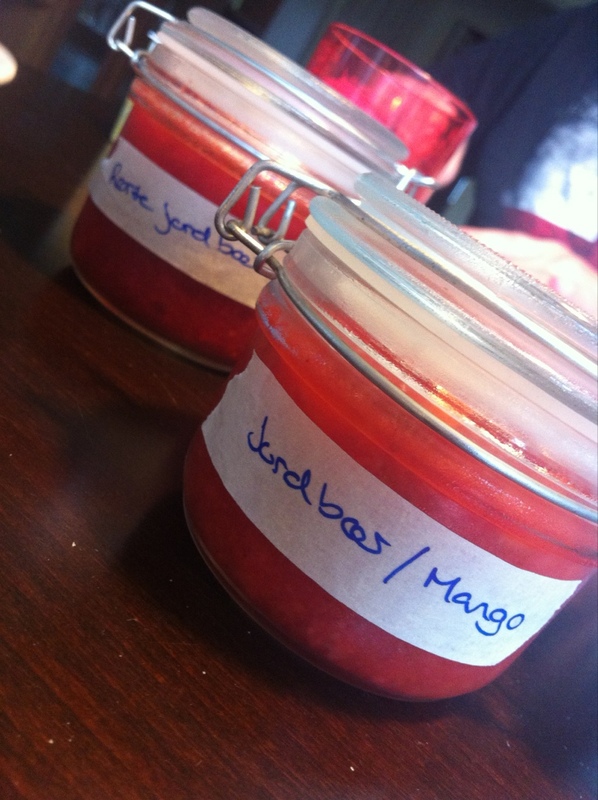 Add to boxes (for freezing) or sterilised jars or bottles (for storage). I have to show off this cake from Son’s third birthday. As mentioned earlier he’s in a pirate period of his life and nothing in this world is cooler than scimitar-wielding, one-eyed, shanty-singing bandits. For this cake I made a simple chocolate cake, drew an outline of the hull of a ship, cut out two identical pieces from the cake, and placed these on top of one another. 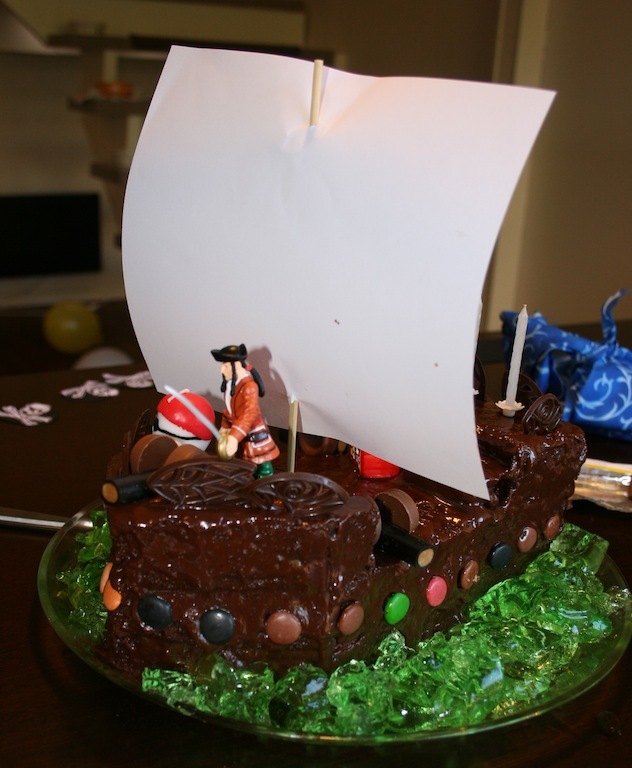 Then the rest of the cake was used to make the bridge and quarterdeck. Afterwards the cake was covered in icing and decorated with various types of candy. The cake was an absolute success and Son has already wished for the same cake for next year’s birthday party. Few inspire me more in the kitchen than Jamie Oliver. These days his show “Jamie Oliver’s Great Britain” is on and now I enjoy one show per week and try to take on some of the recipes as challenges. Last week I saw an episode where he made Yorkshire puddings. It looked easy enough but comments connected to the recipe online suggested it wasn’t as easy as it first seemed. 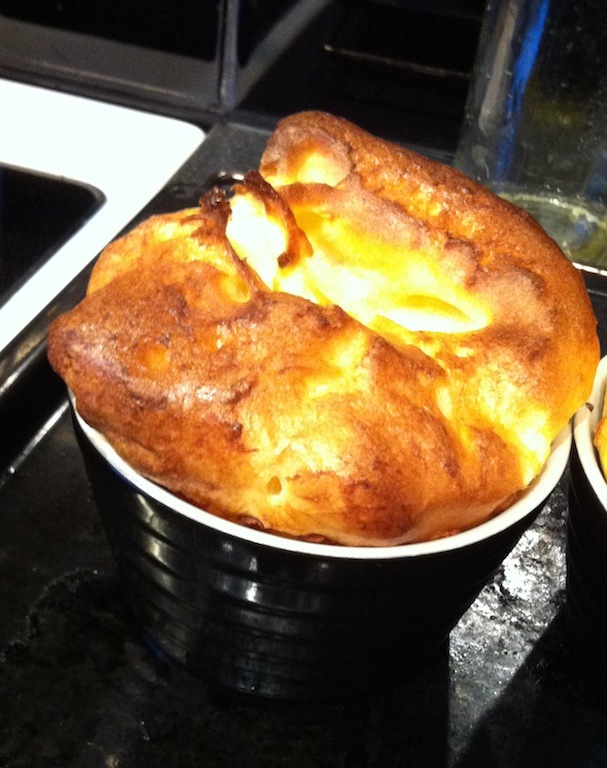 The dish was made as a starter with yorkshire pudding and a creamy pate with horseradish and smoked trout. 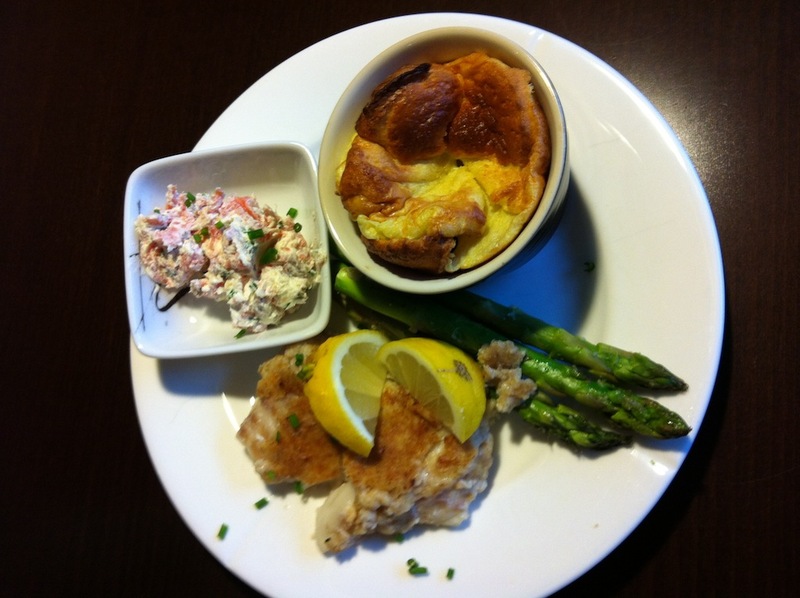 I wanted to serve it as dinner and thus served it with crispy cod filets and asparagus. The dish was divine! The combination of the soft pudding and the pate was incredible. The pate was a bit on the sour side, but I have a tendency to squeeze out more juice from a lemon than recipes seem to expect. Son used the pate to dip the cod, he wasn’t too fond of the asparagus, but the pate worked wonderful as a dip for that too. 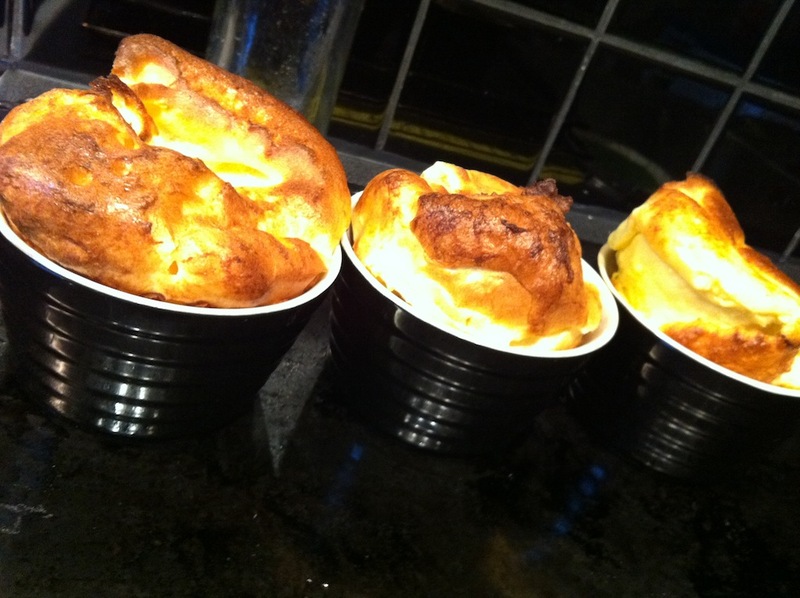 The yorkshire puddings were easier than expected and rose more than I expected them to. 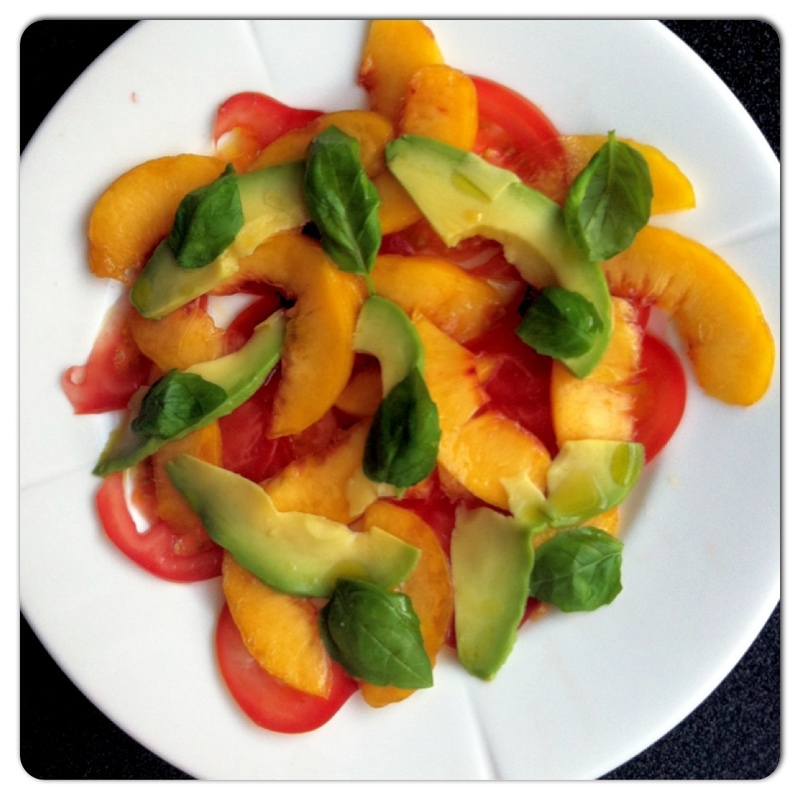 The recipe for Jamie’s starter can be found here. The cod was simply dipped in eggs and breadcrumbs and fried in a non-stick pan with a wee bit of oil. The asparagus were treated to a few minutes in the pan as well, drizzled with a few drops of lemon juice and a sprinkle of sea salt.